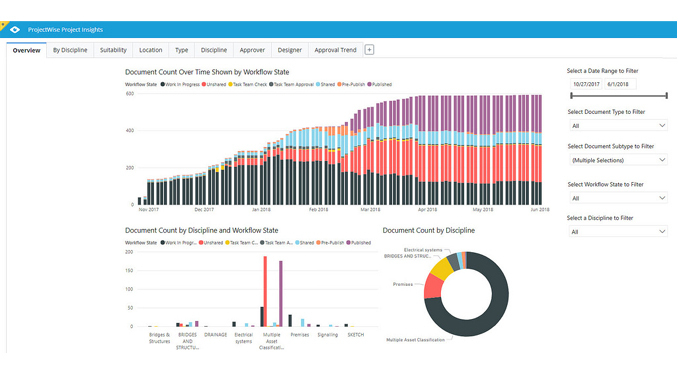 Project management teams previously relied on other tools to prepare snapshots of information management progress inside the ProjectWise environment, which was time consuming and produced results that were quickly outdated. These dashboards showed current status but did not necessarily provide an adequate view of past performance or insight into future performance. 1_AI_AECOM Accelerates Digital Advancement with Near Real-time Insights – With ProjectWise Project Insights, decision makers can visually examine historical trends and predict future ones. AECOM collaborated with Bentley to imagine and develop a new solution, ProjectWise Project Insights, a cloud service built on Microsoft Power BI. 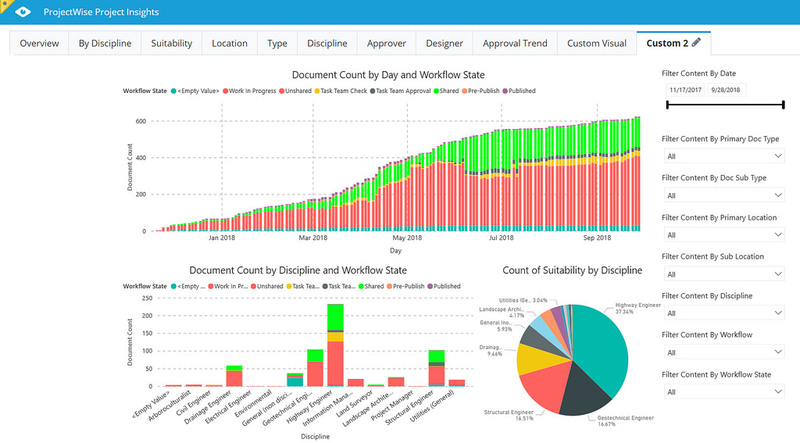 ProjectWise Project Insights enables project teams to leverage and visualize project data more effectively in order to identify trends in the information management process. 2_AI_AECOM Accelerates Digital Advancement with Near Real-time Insights – AECOM worked with Bentley Systems to advance digital reporting and unlock the value of a data-rich Connected Data Environment.